You are here: Home / Preschool STEM / Storytime STEAM with Don’t Let the Pigeon Drive the Bus! Storytime STEAM with Don’t Let the Pigeon Drive the Bus! 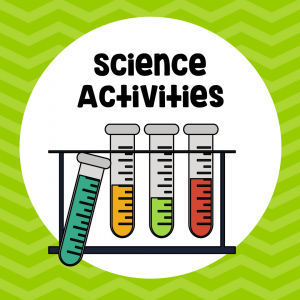 Preschool STEM activities don’t have to require a lot of expensive materials or a lot of time! Encourage your young thinker to be a creative thinker and problem solver with our Storytime STEAM challenges. 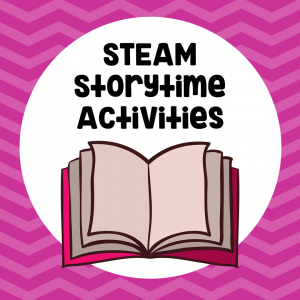 These STEAM challenges based on your favorite storytime books and designed to engage your child and stretch their thinking.! STEAM represents the combination of Science, Technology, Engineering, Art, and Math. Opportunities for hands-on play with different materials will allow your child to learn and extend their knowledge and creative thinking skills. This week we are inspired by the fun story, Don’t Let the Pigeon Drive the Bus by Mo Willems. We know the Pigeon can’t drive the bus but can you build a fast vehicle that the Pigeon can drive? STEAM Challenge: Can you build a vehicle that the Pigeon can drive? Objective: Build the fastest vehicle for your pigeon to drive. * If you do not have Tinkertoys you can make your own clothespin button race cars or you can modify the activity by using toy cars and predicting which car is the fastest. Read the story, Don’t Let the Pigeon Drive the Bus. Ask: How can we build a vehicle that the pigeon can drive? Imagine: Give students time to experiment and play with the materials. Plan: Discuss and collaborate together, or in small groups, on how to build a vehicle using the provided materials. Students may wish to draw their design. Create: Build your vehicle and test how fast it goes down a cardboard ramp. Optional (but fun): We taped a pigeon to our car to visually represent the pigeon driving! Improve: Discuss how you can make your Pigeon’s vehicle go even faster. Allow students to redesign and test their vehicle again. Conduct a race to see which vehicle is the fastest. Share: Draw a picture or take a digital photo of your vehicle for the pigeon. Share with parents or other classmates. Get the free lesson pack! Free for members of the Early Childhood STEAM Resource Lab. Members must be signed in to download. Not a member? Join today, it’s free!